The egret mark has been recorded on about forty-five pieces of 'kraak' ware, and are generally of a better quality than the average pieces, which may support the viewpoint that they were produced in one particular kiln. 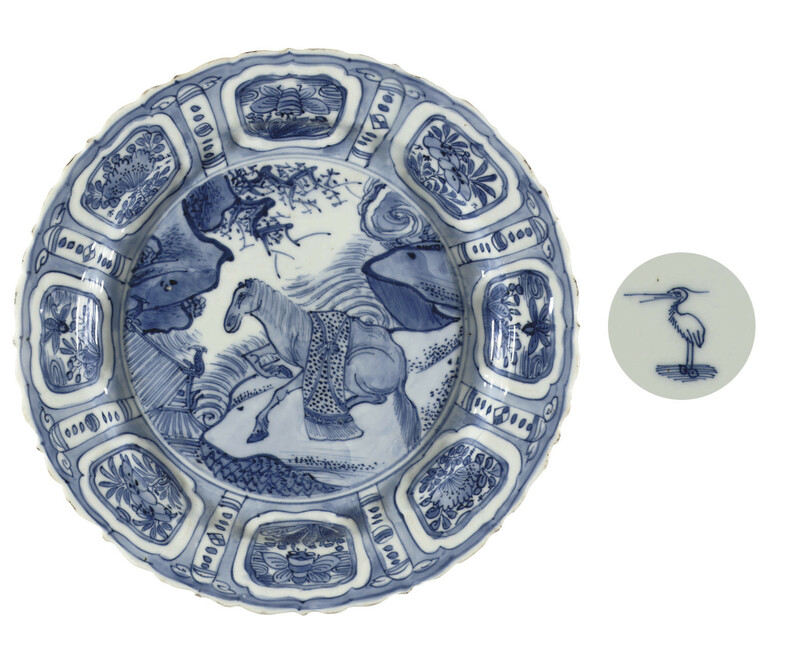 Within this group, seventeen dishes with this particular border design are recorded. However, none of them are decorated with a horse. For a discussion on this type of dishes, see M. Rinaldi, Kraak Porselein, A Moment in the History of Trade, London, 1989, pp. 200-202, pl. 264.